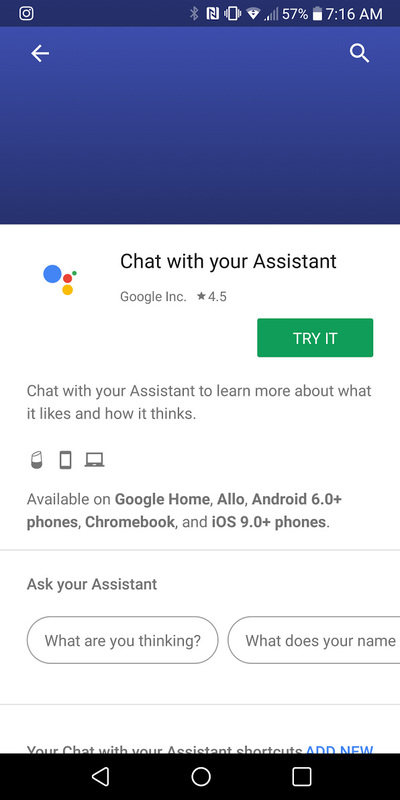 If you head over this morning to the Google Assistant website (and Google Assistant support) that shows an overview of the tool, you’ll find a section that lists out the platforms that Google Assistant is available on. The current list includes Google Home, your phone, your Android Wear watch, and your Android TV. It doesn’t currently include computers or Chromebooks. However, should you fire up Google Assistant on your phone at this moment and dive into its capabilities, you’ll surely find references to Chromebooks as being supported, which is interesting, because they aren’t actually supported yet. You can see the reference below, which is just one of many. To find this, you can open up Google Assistant and tap on the Explore button (the blue button in the top right corner of Assistant). From there, scroll through the list of capabilities until you find “Games & Fun.” Swipe over in that group and tap on the “Chat with your Assistant” option and you’ll get to the page I’ve included here. So what does this mean? My guess is that it could (and likely does) mean that Google will soon announce Google Assistant support on Chromebooks. And they should! The Google Assistant on Chromebooks adds another powerful tool to their desktop platform and would be a welcomed addition to Chrome OS, which seems to be getting better by the month. Who knows, maybe Google will unveil it with the new Pixelbook later this week, the one that we first unveiled a couple of weeks back? 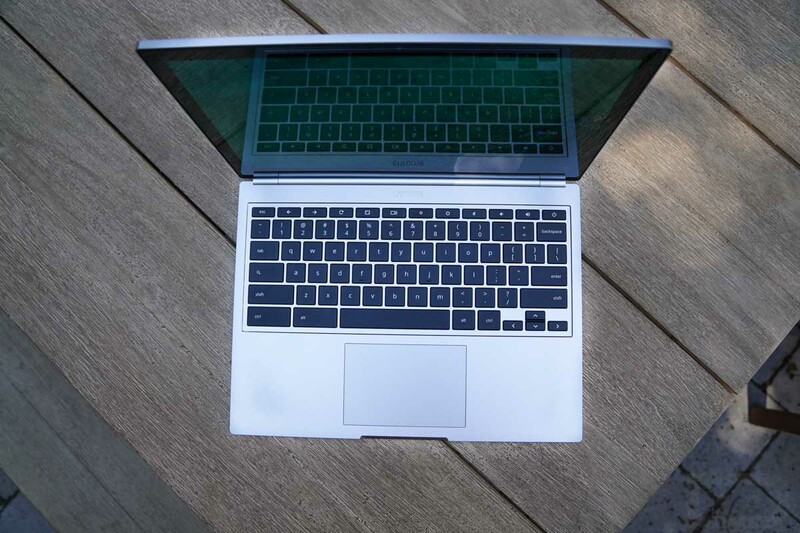 I can’t think of a better way to show off your shiny new (and expensive) Chromebook than with your Assistant powering many of its available moves.